Warming of the climate system, due largely to the burning of fossil fuels and land use change, is now considered by the UN Intergovernmental Panel on Climate Change to be ‘unequivocal’. Over recent decades many of the observed changes have become unprecedented in magnitude, in some cases for millennia. A major concern is the adverse effects on crop yield as a result of climate change, with evidence that severe childhood stunting in Africa and South Asia will increase markedly under these conditions. Many poor populations are exposed to an increased risk of extreme climate events, for example because they live in areas more prone to flooding than more affluent populations or because pre-existing illness such as HIV makes them more vulnerable to undernutrition. Current levels of consumption in high income countries and increasingly in emerging economies, with relatively little political will to address these issues, are leading to a potential crisis which will affect the whole planet. 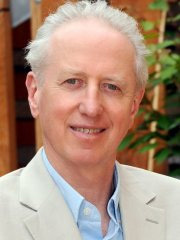 Sir Andy Haines is Professor of Public Health and Primary Care at the London School of Hygiene and Tropical Medicine. He has been a member of many national and international committees, including the UN Intergovernmental Panel on Climate Change, the WHO Advisory Committee on Health Research and the Sustainable Development Solutions Network and is currently a member of the Scientific Advisory Panel of the UNEP-hosted Climate and Clean Air Coalition. His research interests currently focus on the health co-benefits of ‘low carbon’ policies including sustainable healthy cities and food systems. He will talk about how policies to reduce greenhouse gas emissions can yield significant improvements in human health, both in this country and internationally, as well as the potential benefits of changes in dietary, land management and urban development policies. Read the British Medical Journal article “How the low carbon economy can improve health”– on how health professionals are uniquely placed to guide the climate change conversation towards better policies that are good for the planet and for people. This entry was posted in 2017, Audio, current and tagged Andy Haines. Bookmark the permalink.